Guacamole is one of the staple foods in my house. 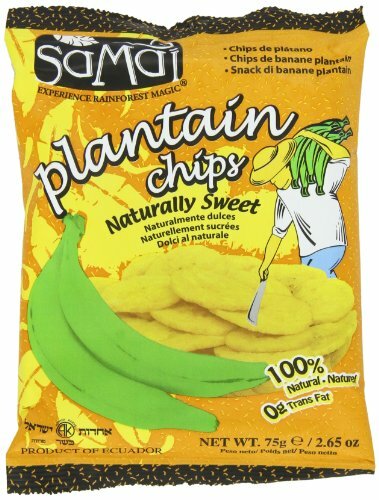 It's quite versatile: it goes well with eggs and bacon for breakfast, makes a very filling snack if you dip some homemade tostones (twice-fried green plantain chips) in it, and it even functions as a side dish when paired with paleo meatballs. I also love to dip freshly cut veggies in homemade guacamole. It's a great dish to bring to parties, pot lucks, or other gatherings, too. While plain guacamole is delicious, it's also nice to get creative with a flavored guacamole sometimes. This is one of my absolutely favorite fancy guacamole recipes. It's both spicy and sweet, with chipotle and mango being the dominant and complimentary flavors. If you can't get your hands on a good mango (they're a summer crop), you can substitute fresh pineapple. 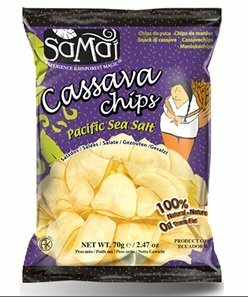 For a hearty snack on the go, I love to dip the SaMai brand plantain chips or cassava chips in this guacamole. You can order them from my affiliate Amazon for a really great price. Or, if you are lucky, you may be able to find them in your local grocery stores like me. Why do I love SaMai so much? They cook using sustainably harvested, locally sourced red palm oil instead of an unhealthy industrial seed oil. They also engage in fair trade practices with small farmers, and have an eco-friendly operation. 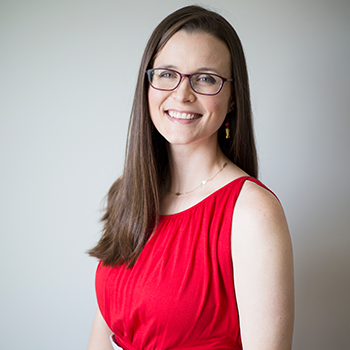 I encourage you to read more about them here, and seek out their snacks! Peel avocados and discard pit. Slice and add to a large bowl. Use a fork to mash avocados into a paste. 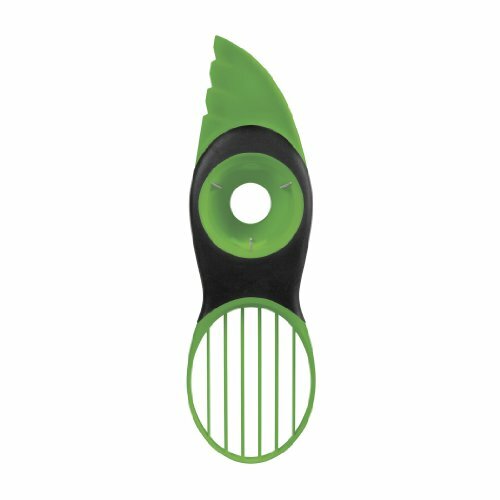 I love to use this handy dandy avocado tool becuase one time I almost cut my pinkie off trying to de-pit an avocado using a knife when my hand slipped (seriously). Squeeze lime juice over avocado immediately and mix using the fork. This helps the avocado to stay green and not turn brown prematurely. Start with one lime and add additional if necessary. Dice tomato, onion, mango, and jalapeno, chop cilantro, and use a garlic press or finely mince the garlic and add everything to the bowl. Add sea salt and chipotle powder to bowl and stir well to combine everything.